Reactions to the “TrojanDome” were absolutely phenomenal. An unequivocal success, from a brand, numbers and aesthetic success. With prime-time network advertising restrictions still in effect, Trojan Condoms’ agency, Colangelo SM (Omnicom), hired VR-MAX to extend their “Evolve” campaign with a blatant, unabashed, unapologetic immersive full dome production to educate their audience about Sexually Transmitted Infections through blatant and unapologetic entertainment about Prophylactics — a taboo subject which is therefore very popular. 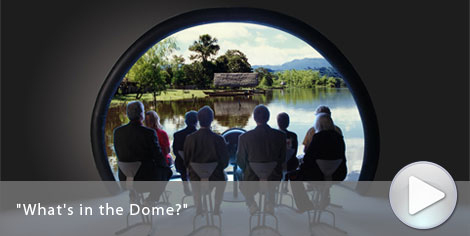 The buzz-generating Trojan video was created for a custom 40-foot Elumenati Theater Fulldome, wrapped with custom images, and re-christened the TrojanDome. 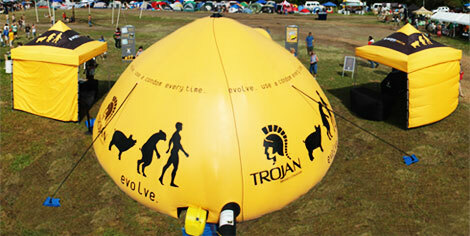 The resulting dome has unmistakable street appeal, while the Trojan condom video – an over-the-top animation coupled with live video – delighted all comers. We deliberately turned up the vertigo to create a faux-4D ride (the sensation of a ride without a motion platform). Like the rides at Futuroscope, Disney, Universal, etc., we surrounded the viewer with 180º images and flew through, over, under and around. According to Church and Dwight (CHD, Fortune 500) the immersive video reached about 75,000/year, 2,000 viewers per stop, and that the piece had a halo effect of an unforgettable impression, as opposed to a fleeting one. The outcome is a “high affinity for our brand,” which almost always translates into sales. Target Audience: 16 – 24-year olds. 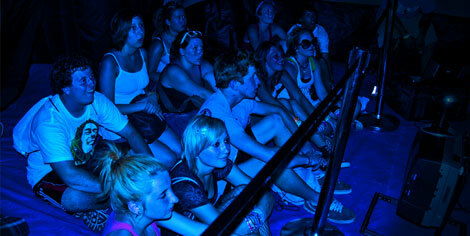 They waited 20 minutes in line to see our shows, and did “the wave” as the felt the 4D effects of the ride’s vertigo. 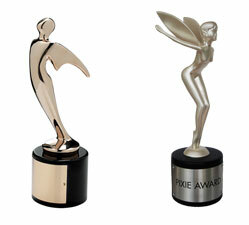 The two Trojan Immersive Videos won winner of two Telly and two Pixie Awards.